A super gorgeous collection of short shorts from Alice and Olivia. 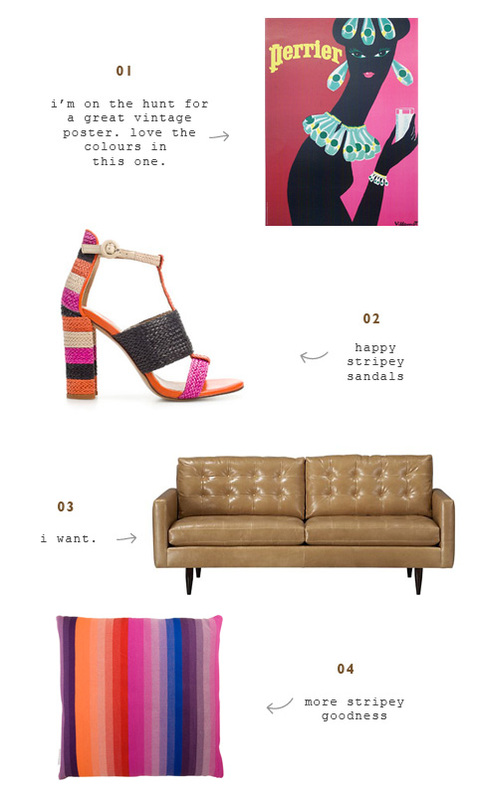 Also, wouldn't you love to strut around in that stripey maxi? ...and the scarves are pretty cute too! 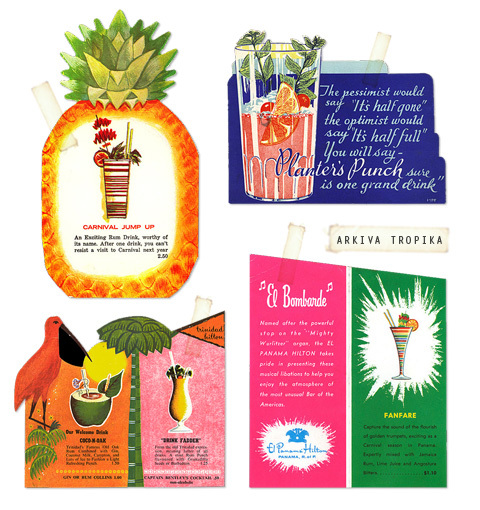 I probably spent a good half hour today scrolling through this awesome collection of yummy paper ephemera from tropical (or tropical themed) bars, restaurants, hotels and the like... Definitely worth a look! ...from Present and Correct. Cute. 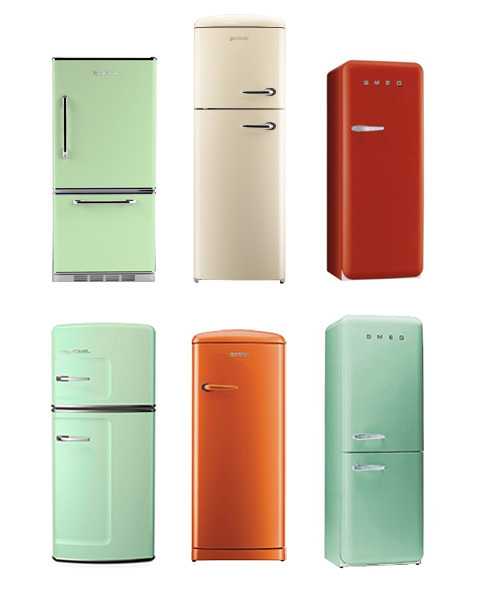 Above is a collection of vintage style refrigerators from Big Chill, Gorenje and Smeg. Ahhh... it's Friday and I just thought I'd leave you with some old photographs of my mum. I just love the cute outfits she's wearing in these pics! 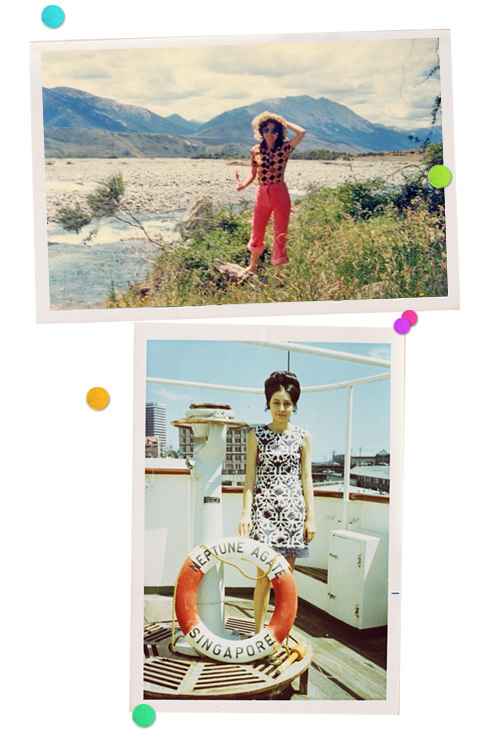 By the way, If you enjoy looking at old photos of stylish mums you should check out this blog and book. 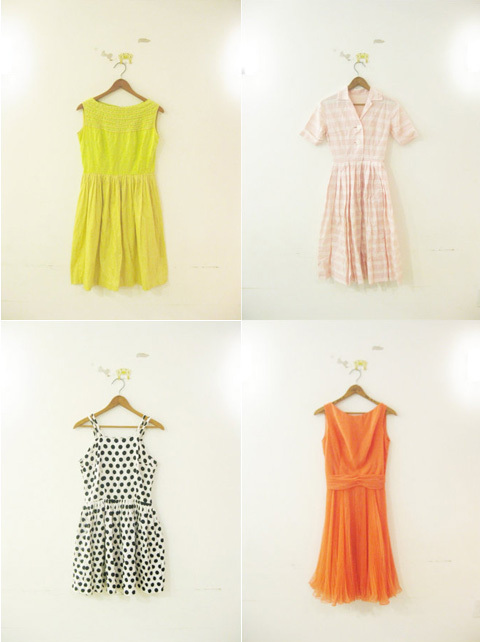 Lovely vintage dresses on this cute etsy shop. 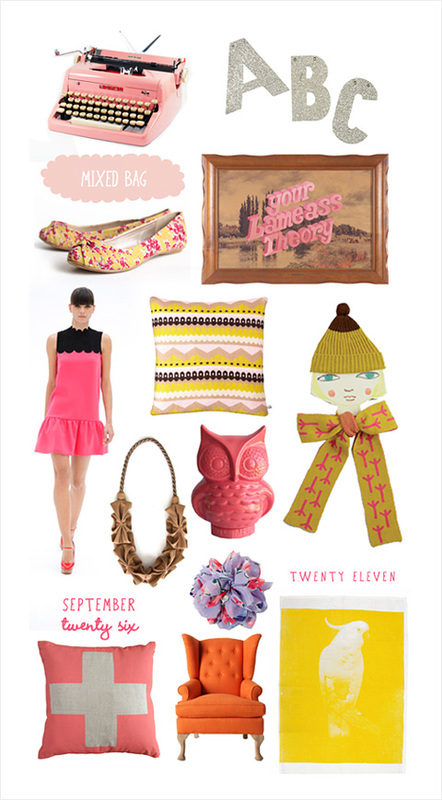 Really loving this Pink Lemonade Belted dress from Ruche's Summer Resort collection. I'm just smitten with the colour! 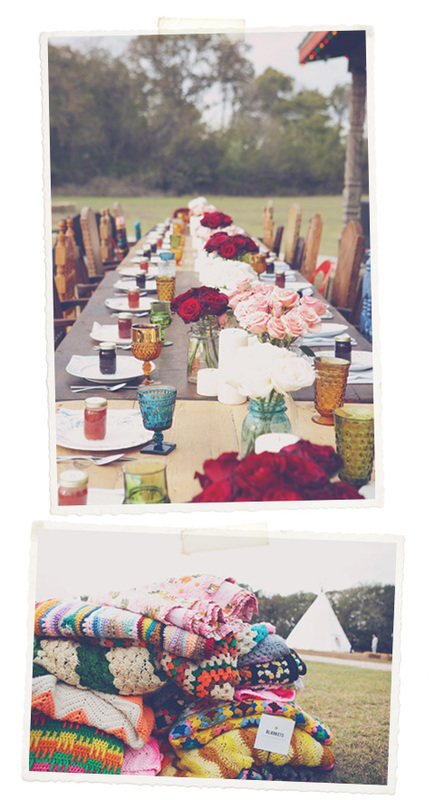 You can also check out a cute 'behind the scenes' video of the lookbook right here. 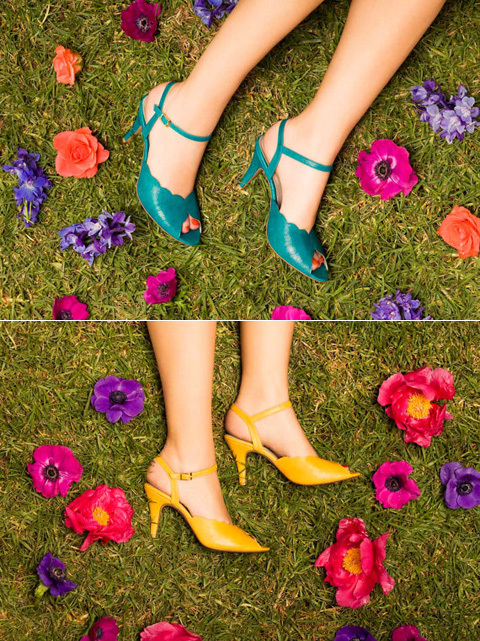 Love this pair of shoes from Roni Kantor Vintage both in lagoon turquoise and sunshine yellow! 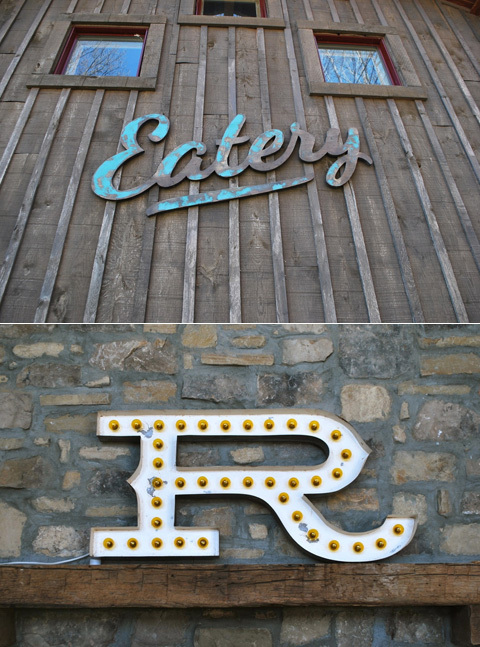 Can't decide which I like better. Cute hair clip bows from Hunter Gatherer. Juliette Hogan has some gorgeous pieces in her latest winter collection entitled "The Morning After the Night Before". I think I may have a sugar high from looking at the unbearably cute, retro-style packaging of Nostalgia bath products.